This is one of those things that someone should produce but at the time of writing they don't. Therefore I had my own made. 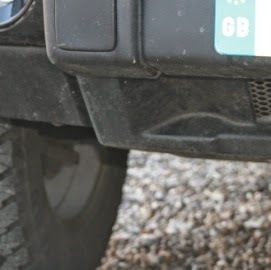 Land Rover Discovery TD5 Front Recovery Points. 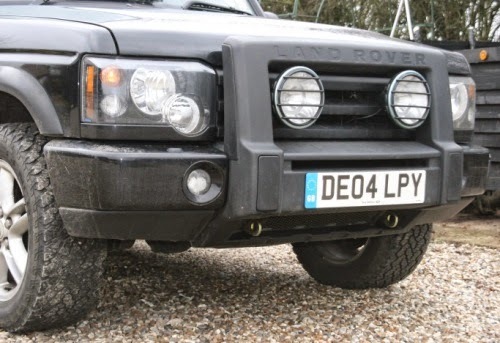 As the name suggests these are for off-road recovery from the front. If you have found this web page you probably already know the problem. 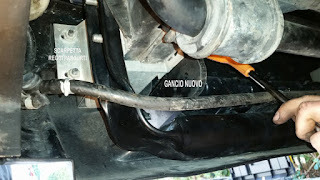 No one (at the time of typing) makes front recovery points for the series 2 Discovery. What else does the same job? There are several solutions if you are prepared to completely replace the bumper or replace the lower section of bumper but both affect the appearance. I like off-roading but I like my car to look fairly respectable the rest of the time. I managed to take the necessary measurements and draw up some plans. 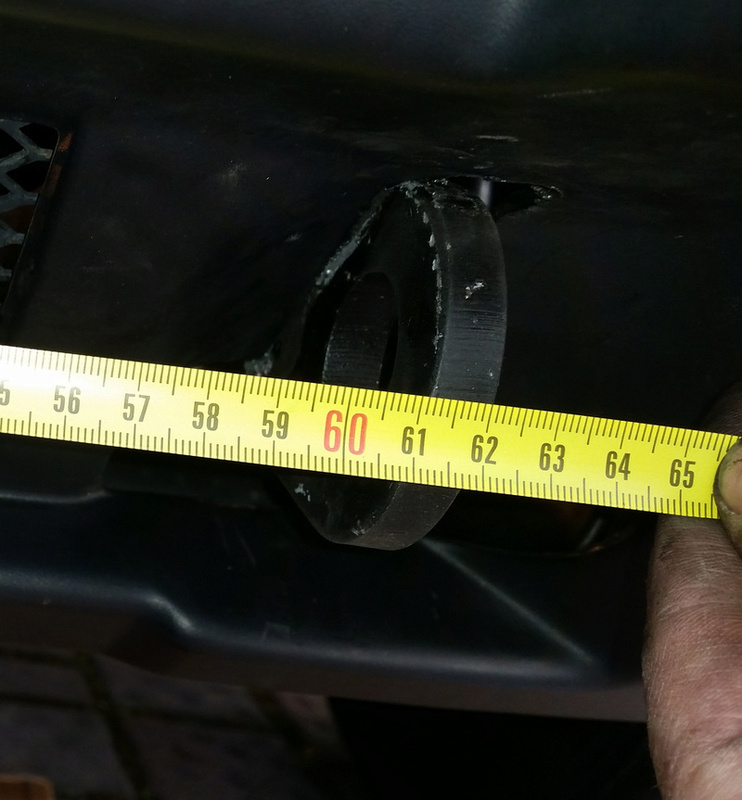 Luckily they fitted perfectly first time. These have not been tested except in use and you use the designs at your own risk. The brackets angle down but when you look at the plans the bolt holes are in line with the metal edges. This is correct. It is a right angle and the bolt holes are in a straight line. Yet when fitted the brackets angles downwards and protrude at about the same place as the existing lashing point. 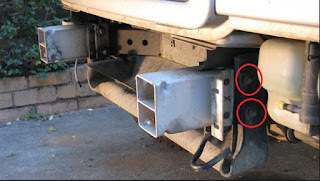 This is because the bolt holes on the end of the chassis where these are mounted are not upright. 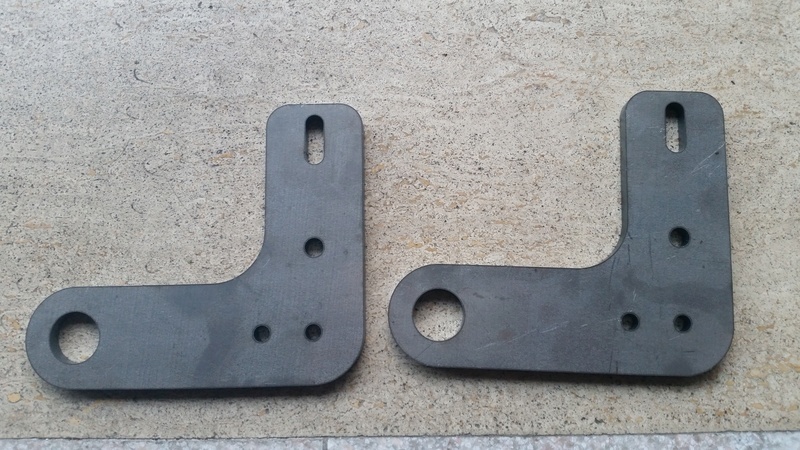 The bolt holes are already angled with the top one being further forward than the bottom one, producing the necessary angle when the bracket is fitted. You only need the 11mm hole and the 11mm slot. 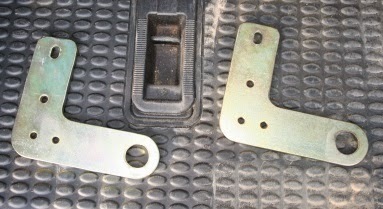 The two 9mm holes shown on the plans were just in case I wanted to mount any underside protection from the brackets. I had mine produced by a local Land Rover enthusiast garage, Gratech , who in turn had a local metal fabricator make up the pair. 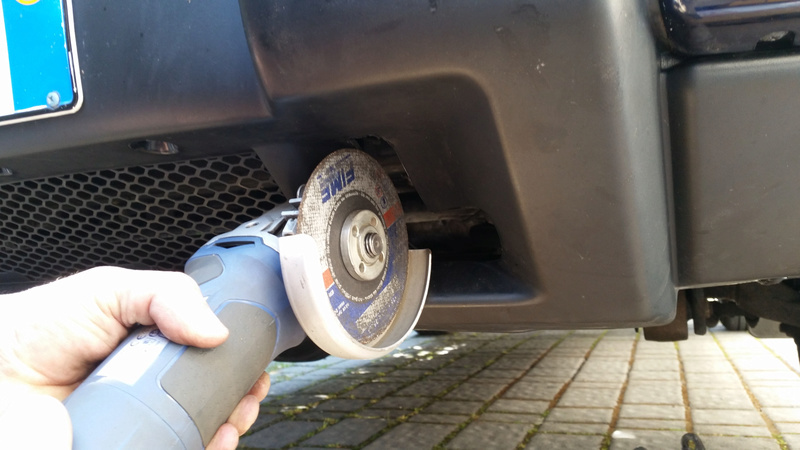 When cutting the slots to fit the brackets be very CAREFUL. 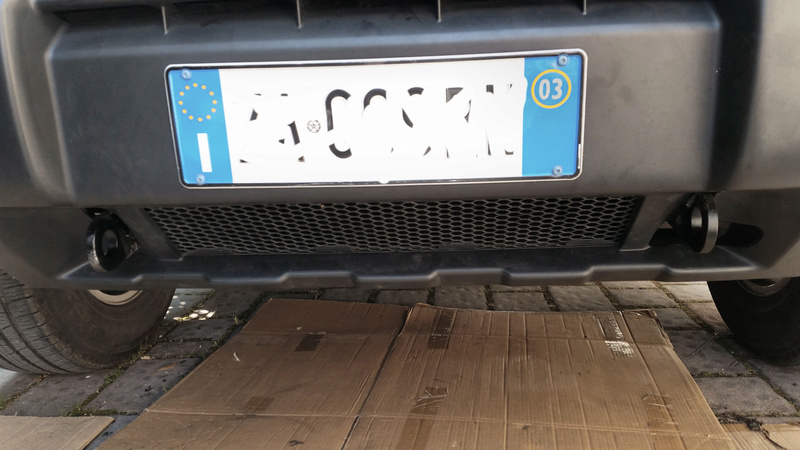 There is a washer HOSE running just behind the bumper very close to where the brackets need to protrude. 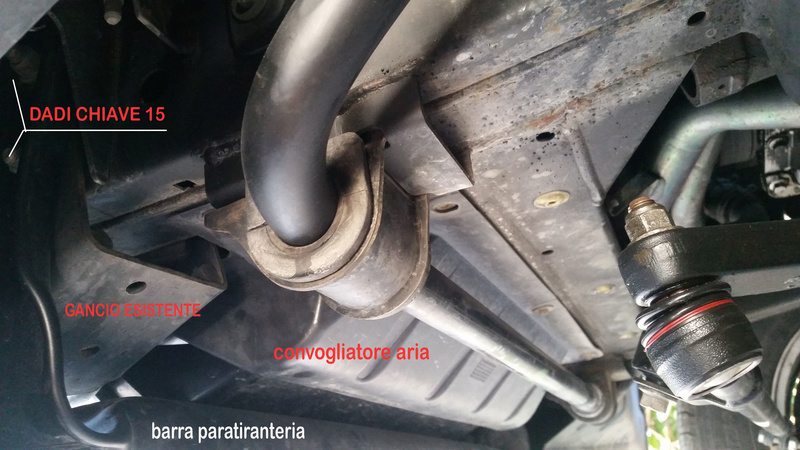 This runs on BOTH sides just behind the bumper. I drilled the top hole using a 10mm drill a lot lower than I needed and filed upwards carefully avoiding the hose. You can get the positions of the holes fairly close by eye. Start on the side with the existing lashing point so you can see through to where you need to be and then mirror the position on the other side. The brackets mount on the inside of the chassis members. 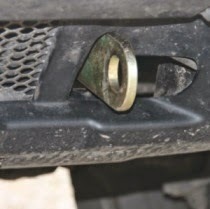 From under the vehicle, remove the underside cover to get at the bumper mounting bolts. 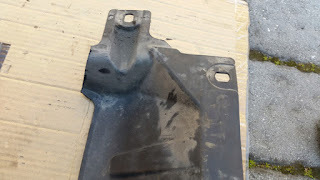 This cover may have to be cut slightly to be able to replace it neatly once the new brackets are in place. Remove the existing lashing point on the side where it is fitted and fit the new recovery points using the original bolts. The measurements were taken from my 2004 facelift Discovery 2. As far as I know they should also fit pre-facelift models but the position within the valence is unknown. These were being discussed in a forum at http://www.africaland.it/forum/viewtopic.php?f=13&t=102649 I had to use Google Translate to understand the Italian conversations but it sounded like if enough people clubbed together they would manufacture some sets. Here are some of the photo's from that forum which may be of use to others. They made theirs with 10mm steel. I have a rotary cutter now which would have been easier. At the time I cut it by hand. 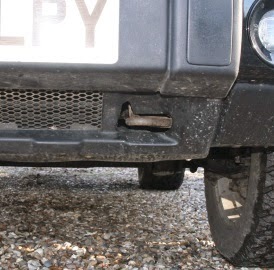 Shows the cut to the underside cover to clear the towing eyes. That picture shows that they fit on the inside of the chassis rails. The person who took this photo used longer bolts but I did not need to do that. 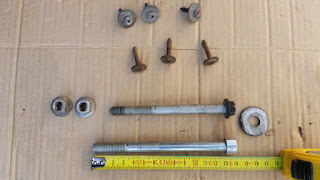 After I had removed the old lashing eye the bolts on my car were plenty long enough. That's a good picture showing the bolts and that they are at an angle. 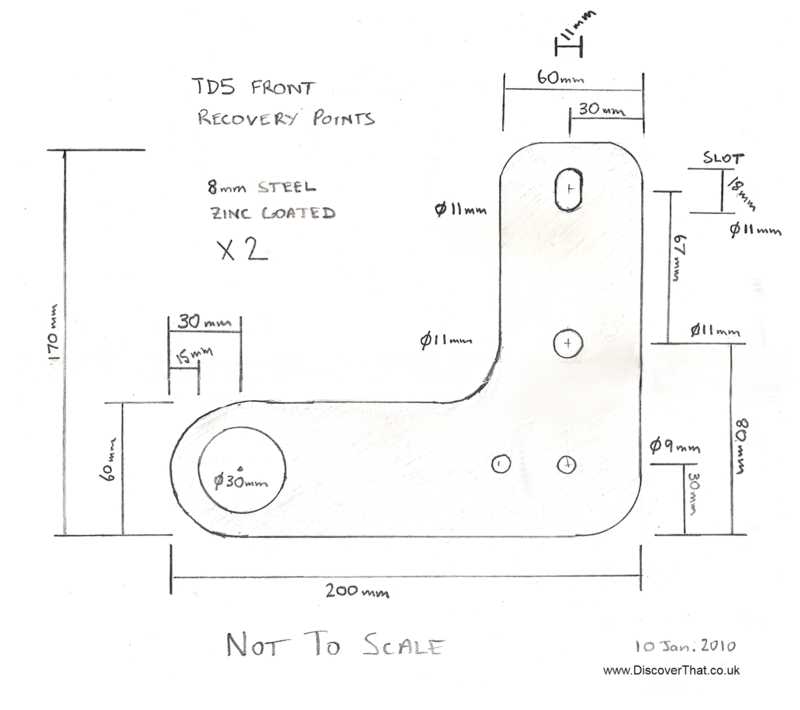 Ian Dixon of http://www.rock-sliders.co.uk/ mentioned in a Facebook post that he could add them to their product range if there was enough interest.